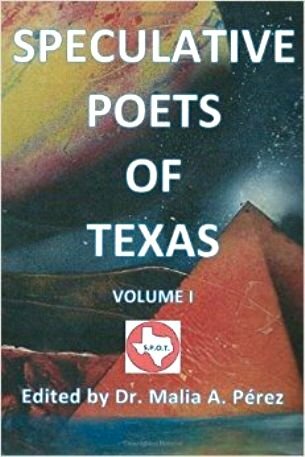 An interesting book of poems is the recently released Speculative Poets of Texas, Volume 1, edited by Dr. Malia A.Perez. According to Dr. Perez: "Texas is known for a lot of things, most of them big, wild, and with a country, barbeque flare and a touch of spicy, Mexican flavor," and that "Among all that is majestic about this great state are its tremendous poets, spectacular with western vernacular or Latin professorship, " but at the same time, "There are those few…among them (are those) who talk about the strange, the bizarre, the dark underbelly of myth and lore or of faraway lands. 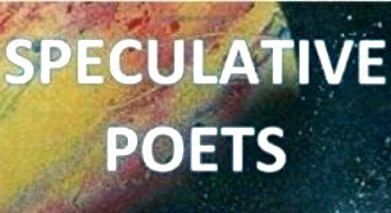 These Texas poets are those whose work does not always fit in or sit well among the ordinary things poets talk about.” These bards are called Speculative Poets, and these are the poets featured in this volume. 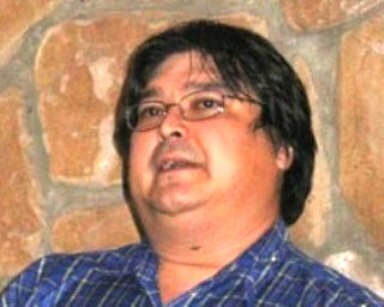 One poet in this group that stands out is no less than Joe R. Lansdale, famous for his novella Bubba Ho-tep, who is currently co-producing several films, among them The Bottoms (based on his Edgar Award-winning novel with Bill Paxton and Brad Wyman) and The Drive-In with Greg Nicotero. Most of the poems featured in this volume were published in The Horror Zine, and one poem that stuck in my imagination long after I read it was "Bob," published in the May 2013 issue of The Horror Zine. "Bob" tells the story of a "family friend," whom everyone in the family all liked. Eventually Bob moves away and the family misses him. like air out of a balloon. and tore down the house. The poem continues but this is an excellent example of horrific poetry that is simple, easy to follow, and very, very easy to believe. I think it’s one of the best poems I've read in a long time. Many people say that poetry is hard for them to read and that it doesn't make sense, and they have to use a dictionary to read the poem, etc. etc. This book is none of this. It is easy to read, it does make sense, and I didn't need to have a dictionary to enjoy it. What it did do was like many great poems or great works of literature do: Tell a fantastic story that was very believable and with a shocker of an ending. There are many really good poets and poems in this anthology, and another poem that stuck with me was "Chains of Straw-Ropes Of Gold" by Rie Sheridan Rose who has been writing professionally all century and in that time she has written six novels, five poetry chapbooks and numerous short stories. kept his mouth shut. . .
but we were for it now. . . I both fear and crave. . .
And I wish I knew his name. I most certainly enjoyed "the heck out of" reading this book and I am certainly recommending this book to others! Be prepared for some chilling poems and interesting takes on familiar stories and good reading! Dr. Malia A. Perez holds a Doctorate of Education degree specializing in Education and Leadership from Walden University. She holds a Masters of Education degree and a Bachelors of Science degree majoring in Interdisciplinary Studies & Elementary Education, Math, Science, English, and minoring in History. Both of these degrees are from Sul Ross State University. She also holds an Associates of Science degree from State Technical Institute at Memphis majoring in Accounting, Math, Science, English, and minoring in History. She has edited various poetry chapbooks and manuscripts. She has been voted and selected as Teacher of the Year for districts where she has been employed. 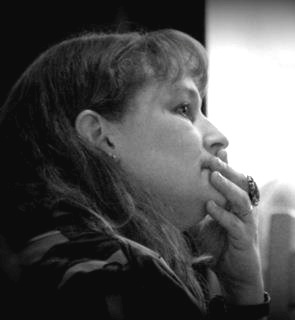 She has taught public education and charter school education for more than 15 years. She has taught across all grade levels including dual-credit/college level classes and been an instructor from Pre-k through 12th grades. She belongs to several educational associations and honor societies. She is currently working on her memoir and a collection of poetry. Her current resume/CV can be accessed through the contact form on this site, through LinkedIn, or can be requested through hotfcpress@yahoo.com. Jean Jones teaches English as a second language part time for Cape Fear Community College in Wilmington, North Carolina. He has recently been published in Aphelion and the Carrboro Recreation and Parks West End Poetry Newsletter. He has two books, Beyond Good and Evil, and Birds of Djakarta available on Amazon.